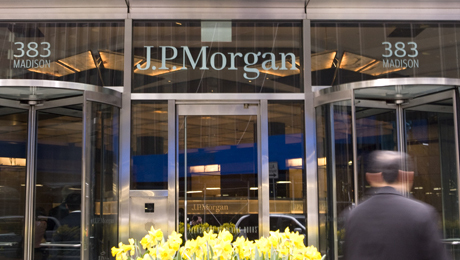 J.P. Morgan tops the All-America Research Team for a fifth year running. 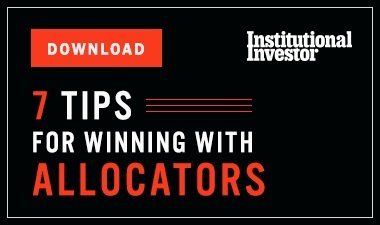 Independent provider ISI Group leaps into the top five, outperforming many bulge-bracket firms. The U.S. Federal Reserve is scheduled to complete its third round of quantitative easing this month, prompting many market participants to wonder if another rout is in the offing. Following the wind-down of the first QE program, in March 2010, the S&P 500 Index tumbled 9 percent; when the second iteration ended, in June 2011, shares fell nearly 12 percent. 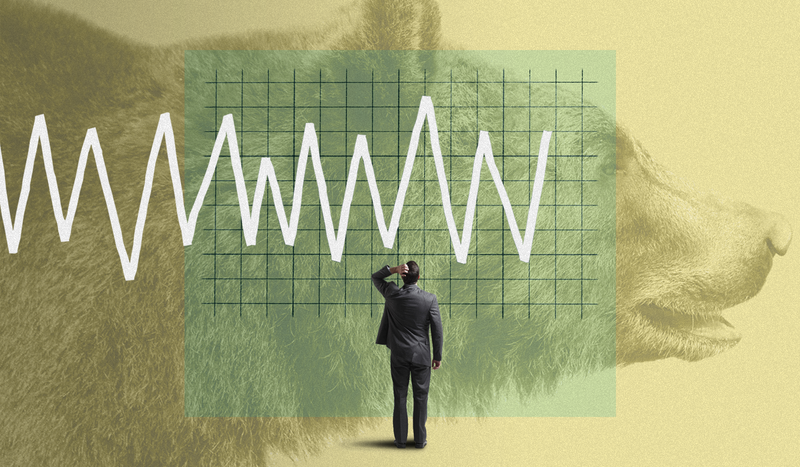 Directors of equity research at some of the most prominent U.S. brokerages believe, however, that this time will be different. Still, investor anxiety is understandable, given not only the history of the bond-buying programs but also contradictory signals about the strength of the U.S. economic recovery. Late last month, for instance, the Bureau of Economic Analysis revised its second-quarter real gross domestic growth estimate from 4.2 percent to 4.6 percent, tying the postrecession high set in the final three months of 2012, while just one month earlier job growth was slower than it had been all year. Click below for an infographic highlighting the results of the 2014 All-America Research Team survey. 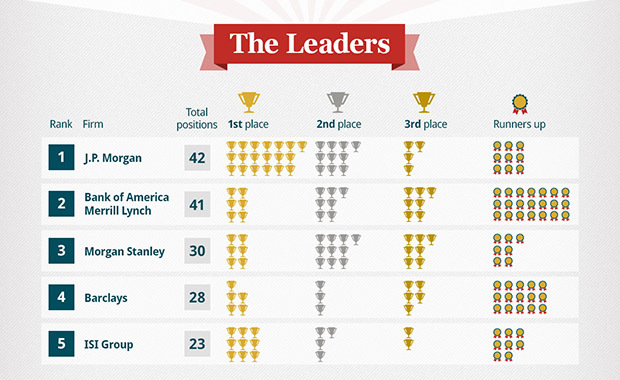 Returning in third and fourth place overall are Morgan Stanley and Barclays, with 30 and 28 spots, respectively; these totals reflect a loss of three positions for each firm. ISI Group rockets from tenth place to fifth after increasing its total by six, to 23, including nine sector-topping performances  more than any other firm except J.P. Morgan. 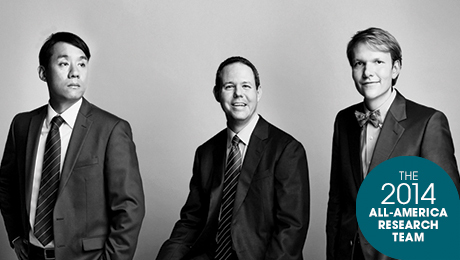 In August, ISI agreed to be acquired by Evercore Partners, an investment banking advisory firm based in New York. These results reflect the opinions of more than 3,600 individuals at 1,017 firms that collectively manage an estimated $10.9 trillion in U.S. equities. The images on the surrounding pages highlight some of the researchers voted No. 1 in their coverage areas. Among the industries sending mixed signals is residential construction. Housing starts plunged more than 14 percent in August after surging 11.1 percent in July. Nonetheless, the National Association of Home Builders/Wells Fargo builders sentiment index notched its fourth straight monthly gain and hit a seven-month high in August. Job growth averaged 212,000 a month in the year through July but dipped to 142,000 in August, according to the Labor Department. To fuel their expansion, however, many companies will have to reorganize their operations, he adds. Theyre going to have to go for a cloud-based business model, which is far stickier with the customer, Rangan explains. Cloud computing is a tiny segment of the [information technology] landscape  its only 3 percent of all IT spending  and we think this number is going to grow dramatically. Many software providers have already begun the necessary transformation, he adds. The analysts current recommendations include two San Franciscobased outfits  Salesforce.com, a developer of client relationship management software, and Splunk, which makes products that search and analyze machine-generated big data  as well as VMware, a provider of virtualization software that is headquartered in nearby Palo Alto. Rangans colleague Douglas Leggate also advances the final rung to claim a sector crown for the first time, in Integrated Oil. (He also secures a runner-up spot in Oil & Gas Exploration & Production.) Many investors are well aware of the boom in shale oil production in the U.S., but opinions differ as to whether its current growth trajectory is sustainable. Leggate, who is headquartered in Houston, believes it is. Regulatory concerns are also creating headwinds for big banks, according to John McDonald of Sanford C. Bernstein & Co. Last month the Fed announced plans to impose a surcharge on the nations largest financial services providers, above the amount set forth in Basel III. The level of additional capital has not yet been determined. These fees will likely result in lower return on equity for the institutions, thus leading to lower valuations for their stocks, he believes. However, these negatives could be mitigated by the value that gets untrapped as banks downsize and by potential higher multiples afforded to bank stocks because they are viewed as safer and more predictable, McDonald says. The New Yorkbased multiline insurer has invested in both talent and technology, he adds, and become better at assessing risk and settling claims. Over time we expect the company to bring its operating margins in line with peers, and as they compound book value and raise their ROE to double digits  theyre still only trading around 75 percent of book value  we see an opportunity for patient money to double or more, Stirling predicts. Americans in all states are sending mixed signals about their belief in the economic recovery. Last month the University of Michigans Index of Consumer Sentiment surged to its highest level in more than a year, 84.6, but spending remains mostly flat.